Burnaby’s only locally owned-and-operated running specialty store. Through attention to detail, care for our guests, and industry-leading products, FitFirst Footwear is driven to create a community that is a resource for all things active. Be it in the gym, on the road, or through the trails, we’re here to motivate, support, and source all of your running, walking, and training needs. Serving passionately alongside LadySport in Kitsilano, FitFirst delivers knowledge and care to men, women, and kids in Burnaby and the surrounding area. 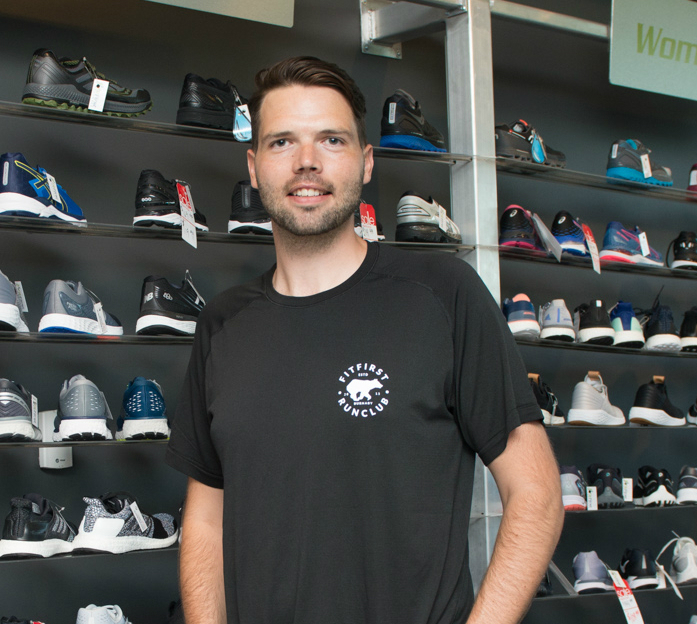 Evan grew up in the specialty running world, and after graduating with a business degree from Capilano University, he followed his entrepreneurial genetics and opened FitFirst Footwear in the fall of 2013. As a true shoe geek, Evan is equipped with an amazing team of trained shoe fitters, high-quality products, and physiological knowledge to help fit and guide you into the shoe that suits your needs and wants. Driven to grow a community that promotes an active and healthy lifestyle, Evan coordinates our welcoming FitFirst Run Club and Run Clinics—helping new and experienced walkers and runners develop their skills, train for races, and build friendships.